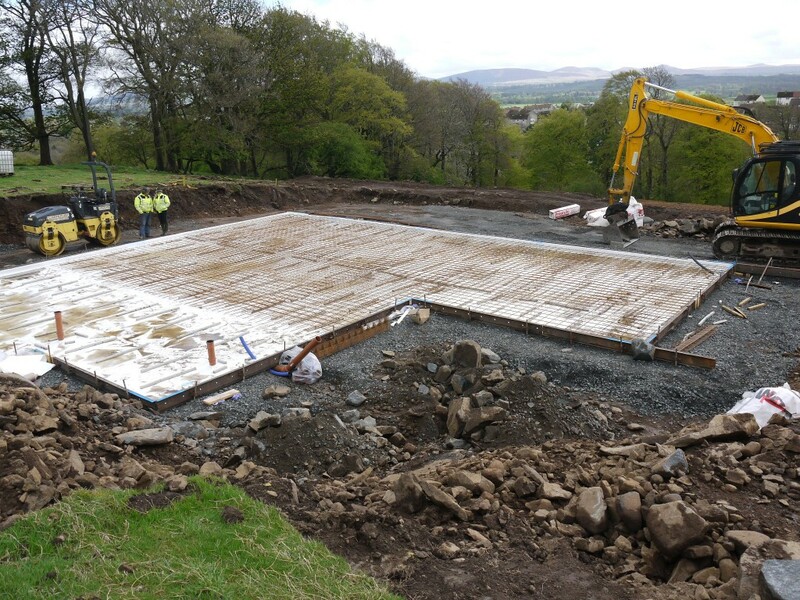 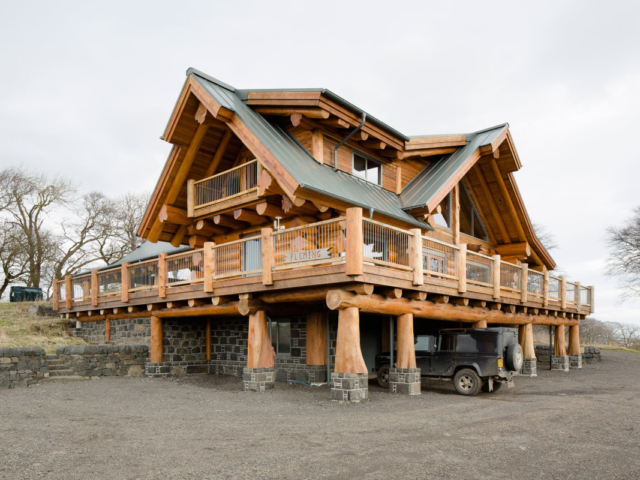 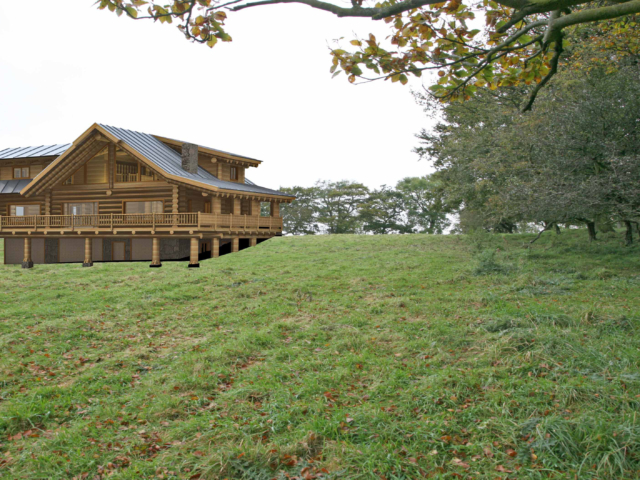 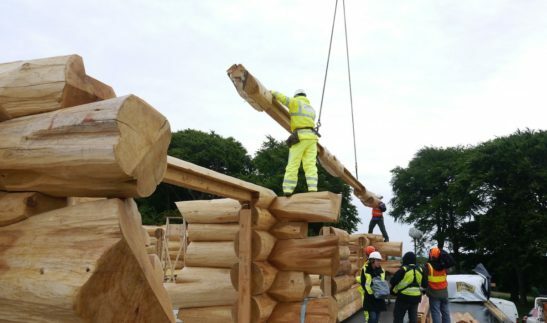 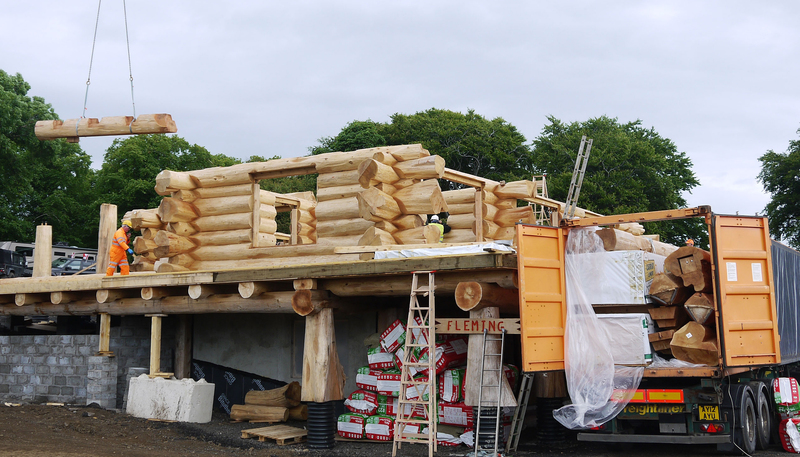 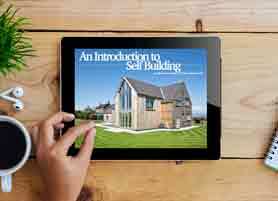 In 2013 ACA were selected from a number of high-profile architectural firms to design a large log home in a rural setting near Edinburgh. The clients owned a large farm estate and wished to build a traditional Canadian-style timber building as their new family home. 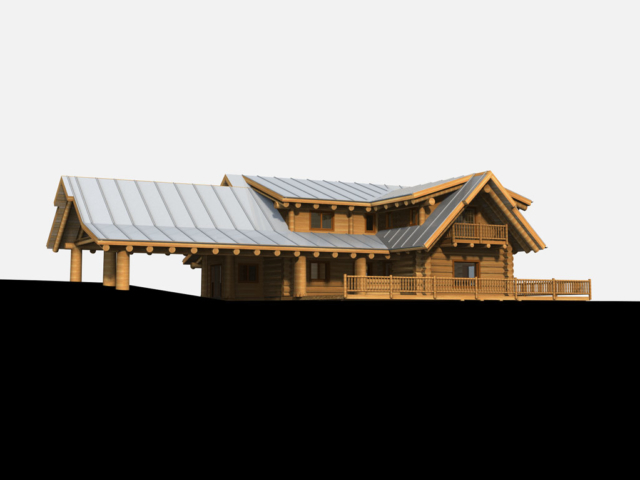 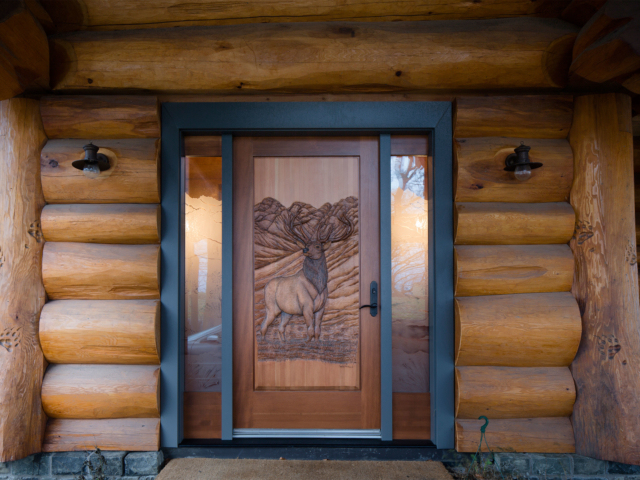 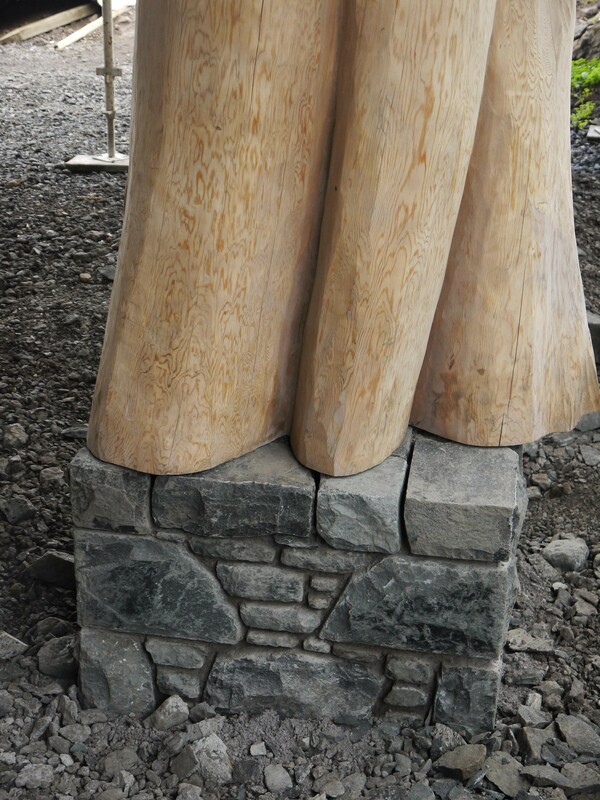 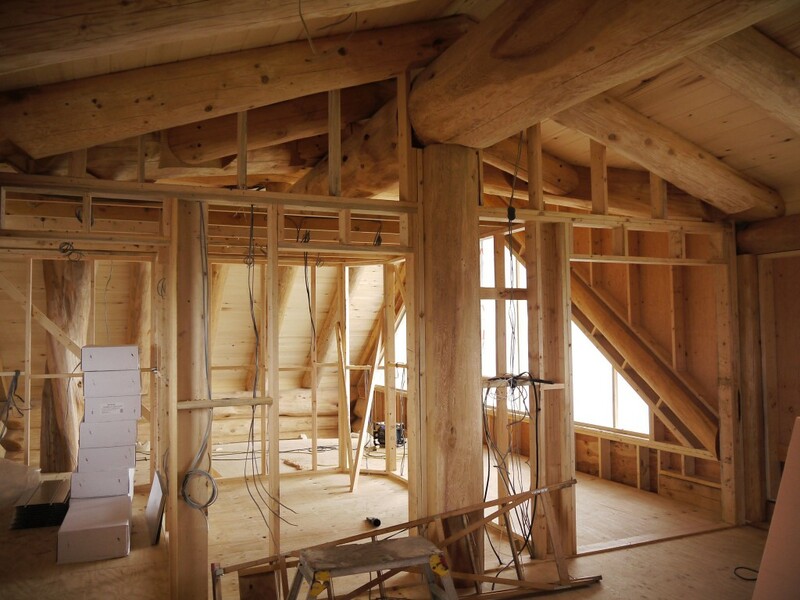 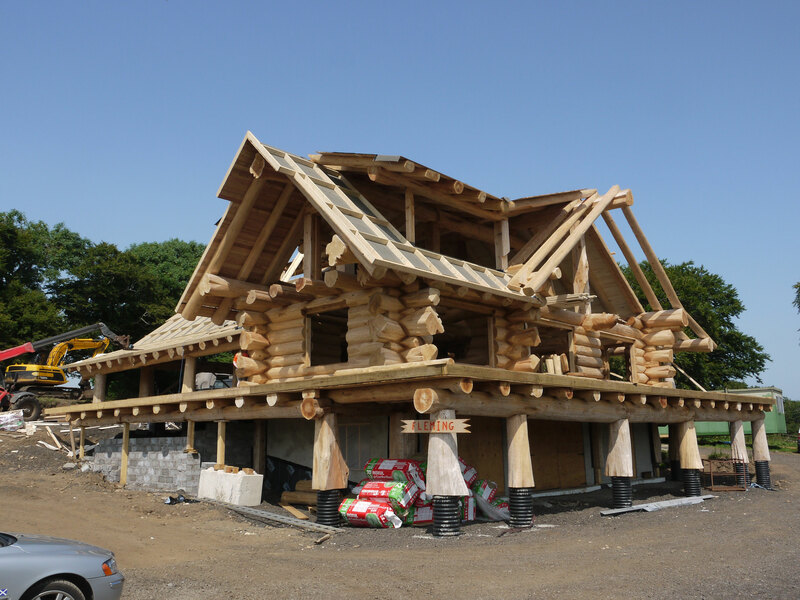 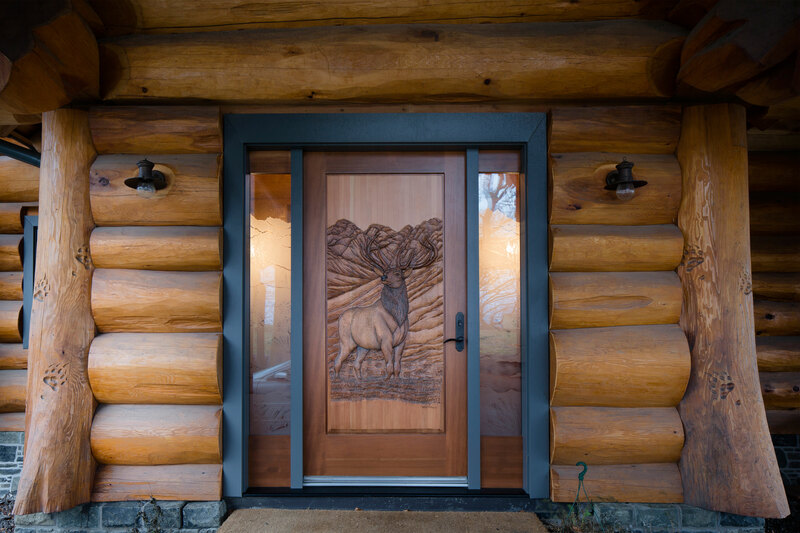 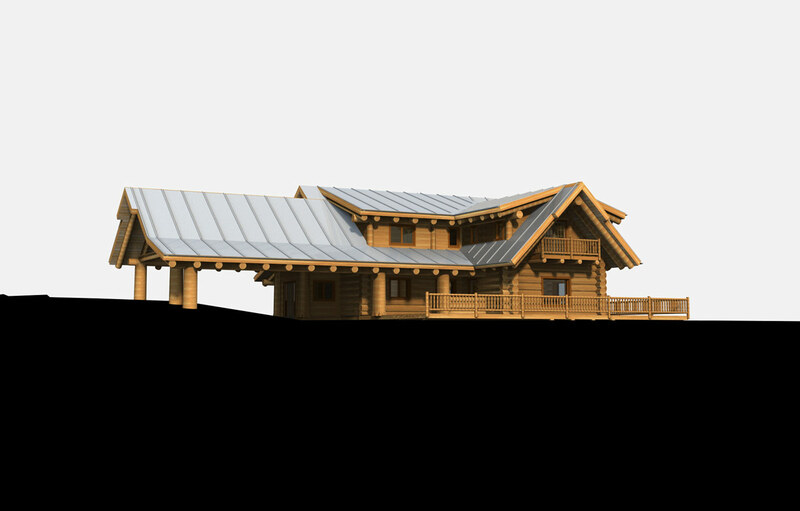 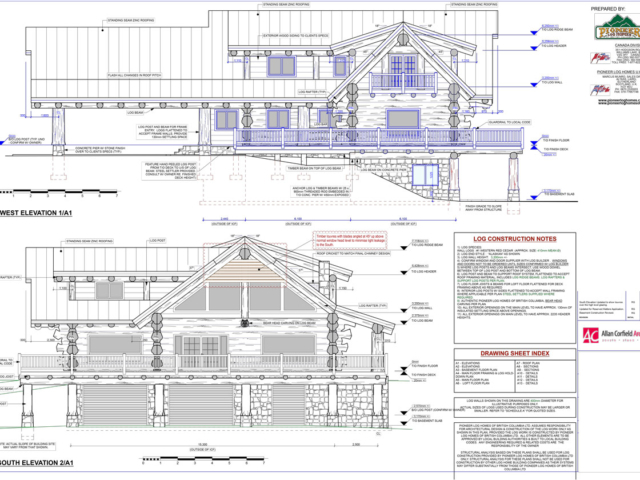 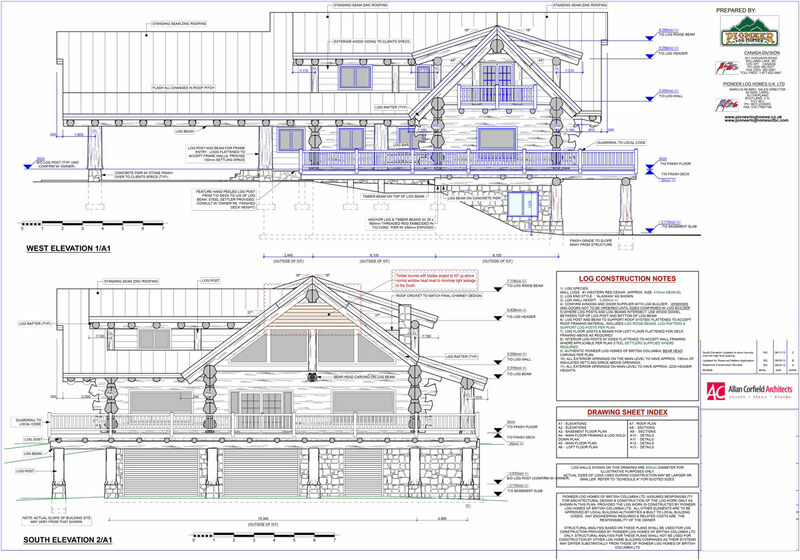 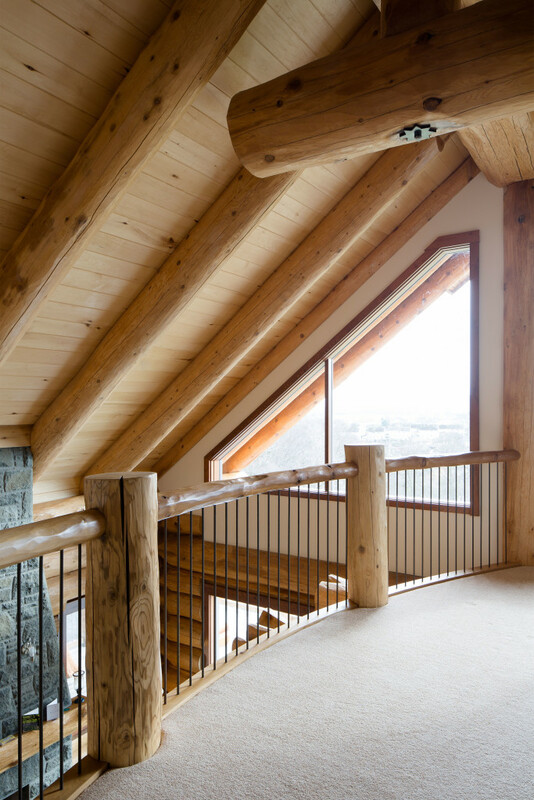 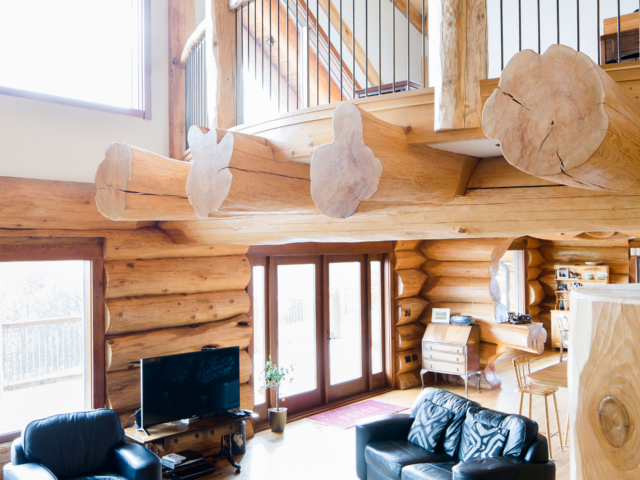 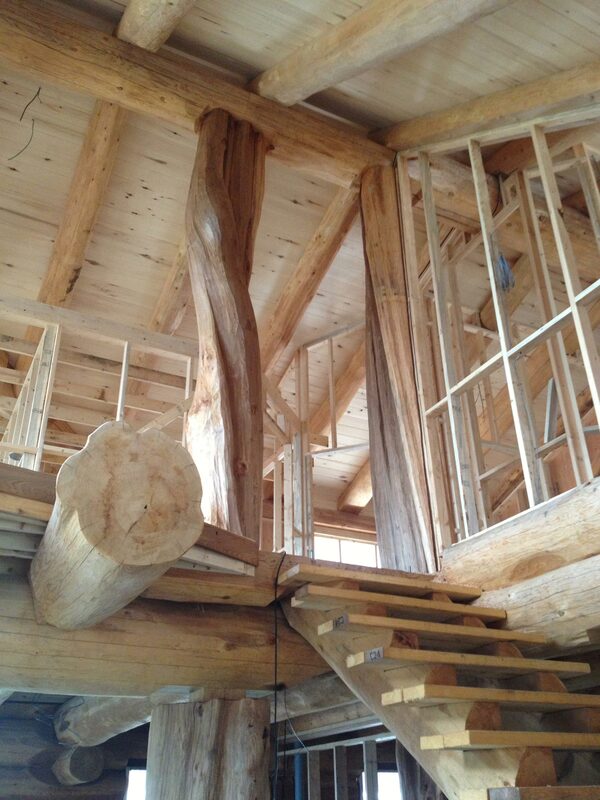 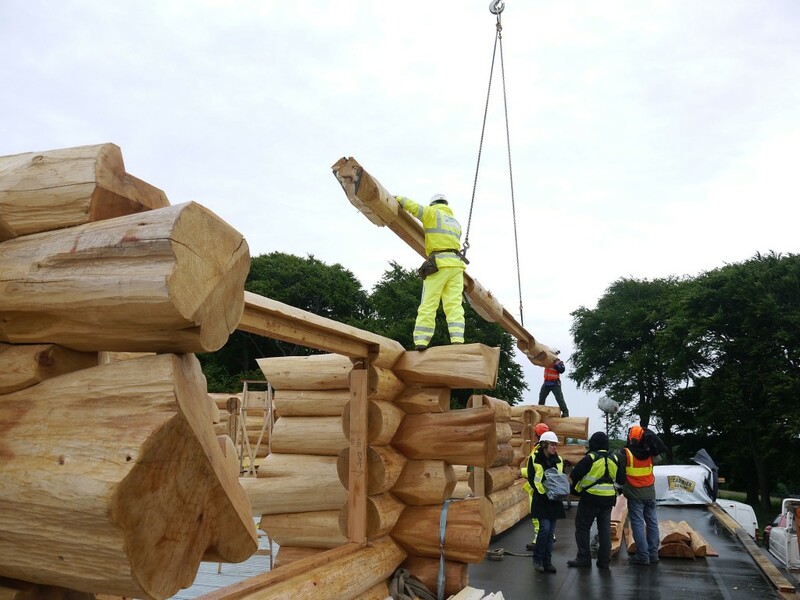 Throughout the design stage, ACA worked closely with Pioneer Log Homes, who are based in British Columbia in Canada. 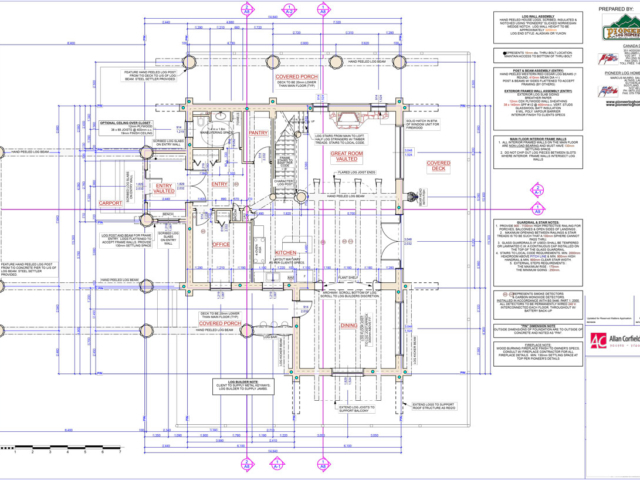 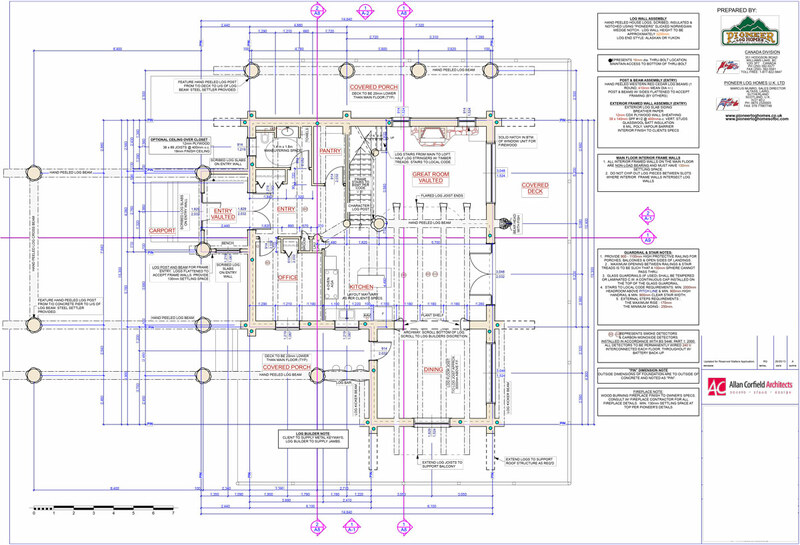 This was an interesting process as ACA had to overcome the differences in CAD software along with an 8-hour time difference. 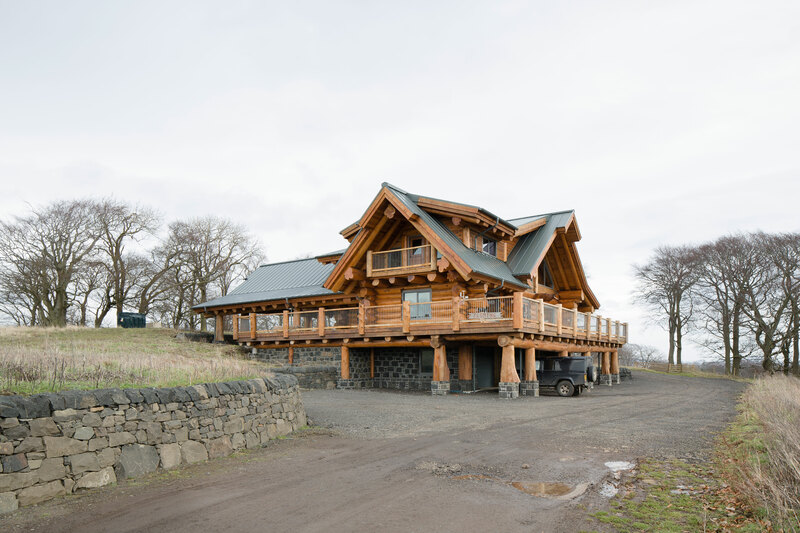 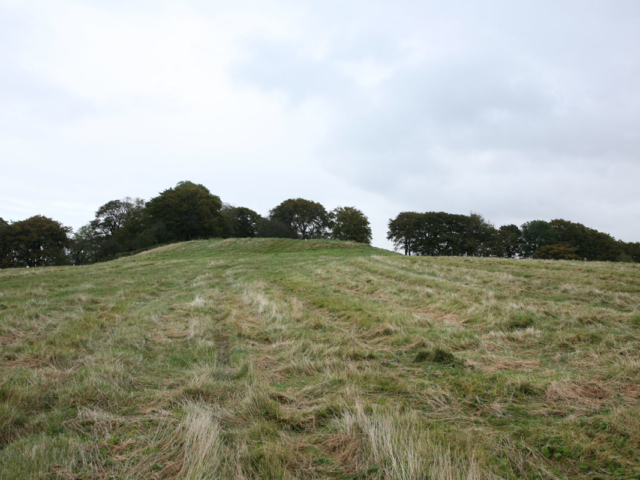 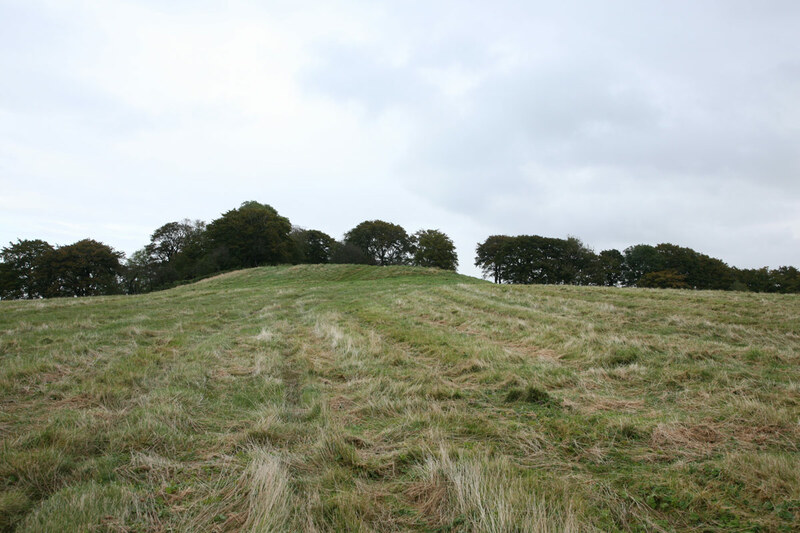 The main accommodation of the spacious 4 bedroom log home was split over one and a half storeys, with a large sunken basement. 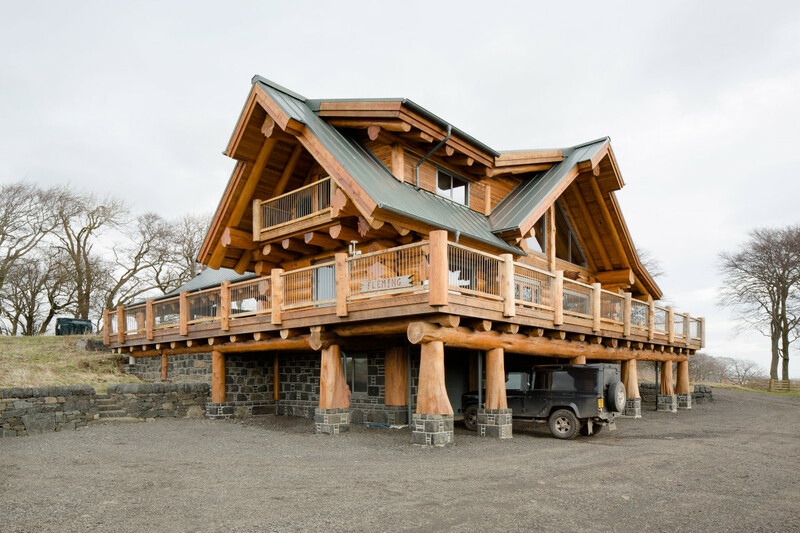 Guests arriving at the house by car are greeted by a double height drive-in entrance canopy, which leads into an open hallway. 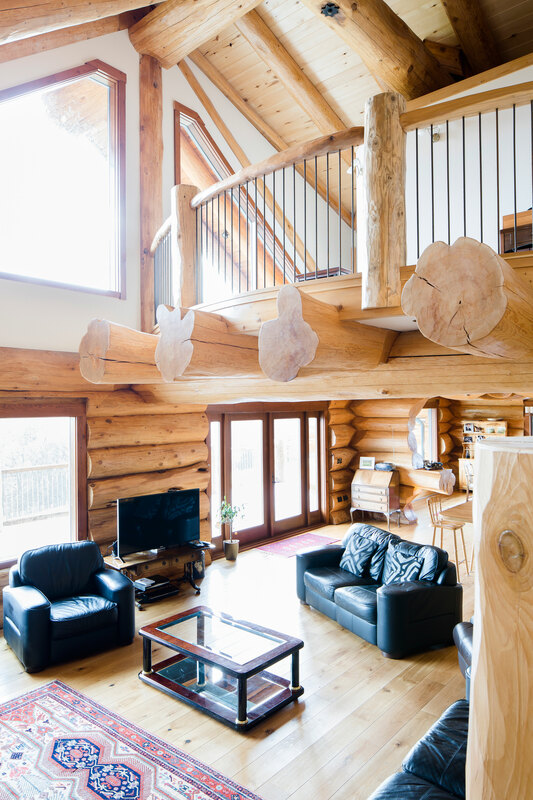 At the centre of the house is a sizeable living area with a log fire set into a double height space – leading up to a landing which serves the bedrooms. 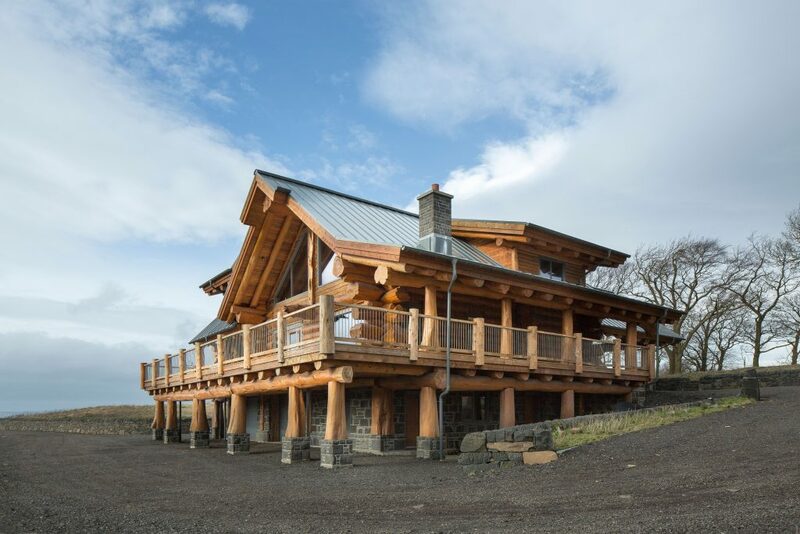 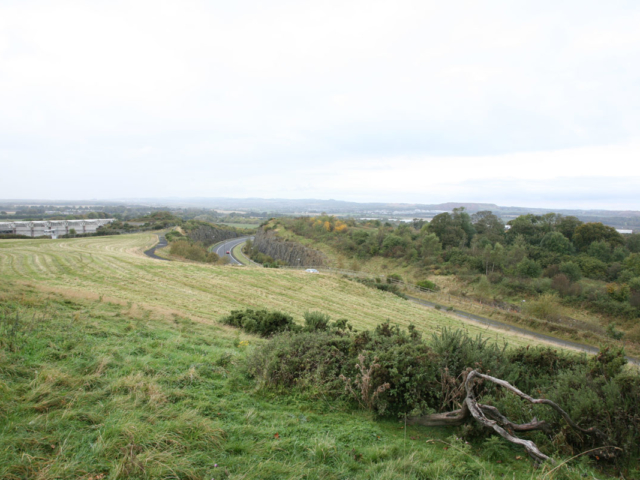 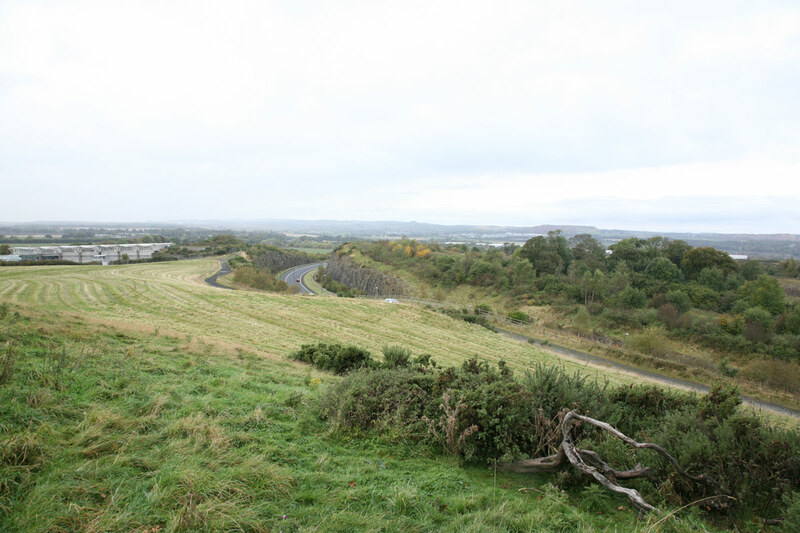 Around the perimeter of the ground floor is a covered veranda, which gives stunning views along to Edinburgh Castle. 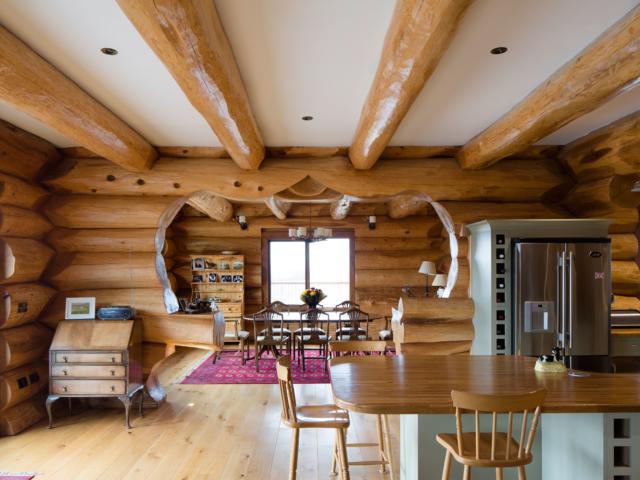 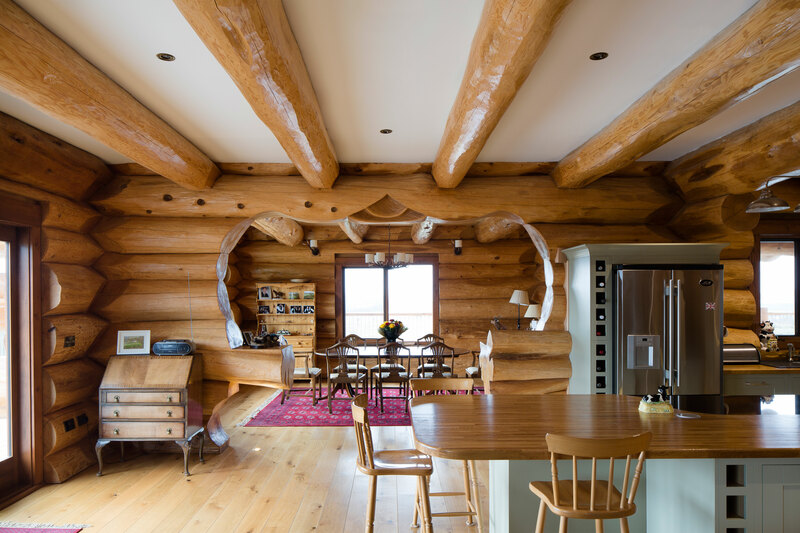 Throughout the house, you can see (and feel) the quality of the huge cedar timber logs, which are exposed in the floor, walls and underside of the roof. 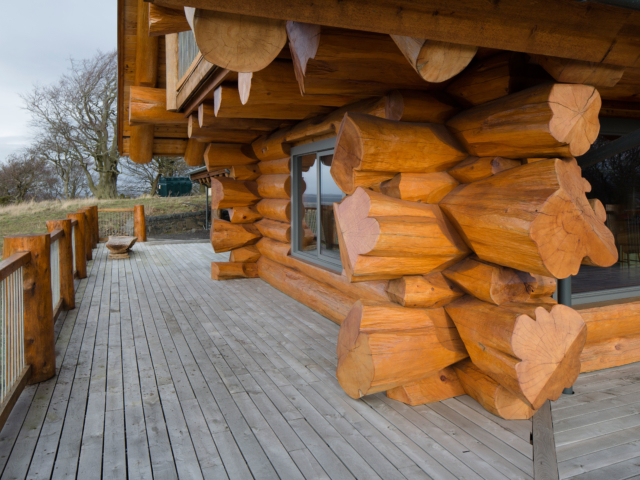 The sheer level of quality craftsmanship is evident in every detail. 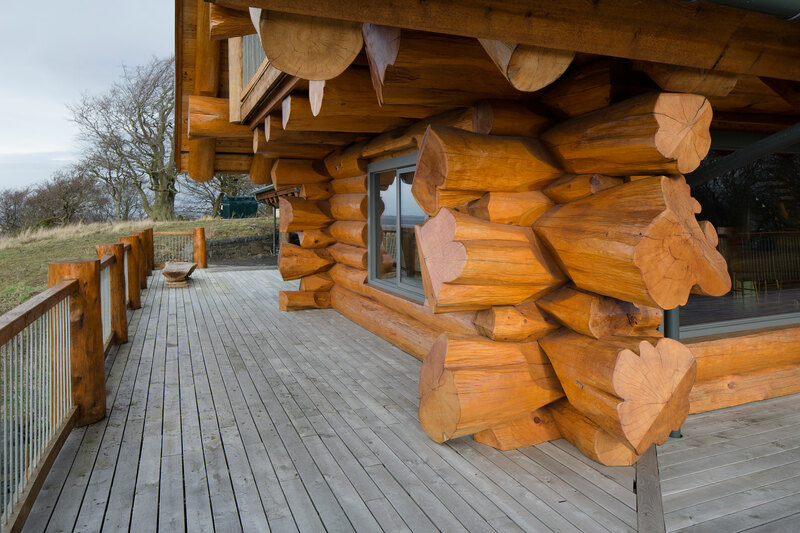 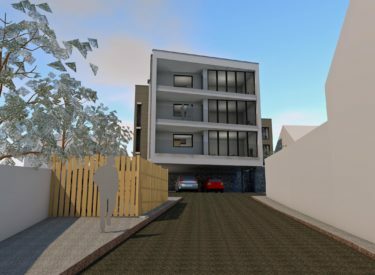 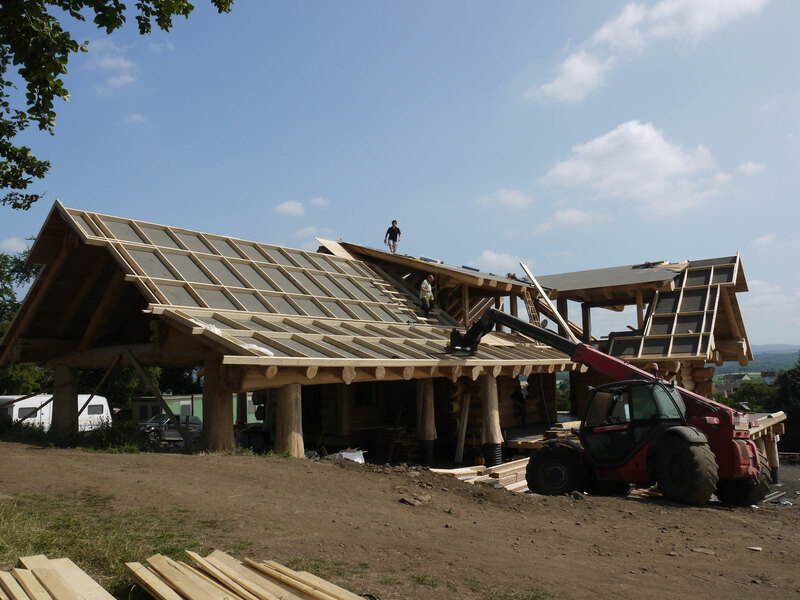 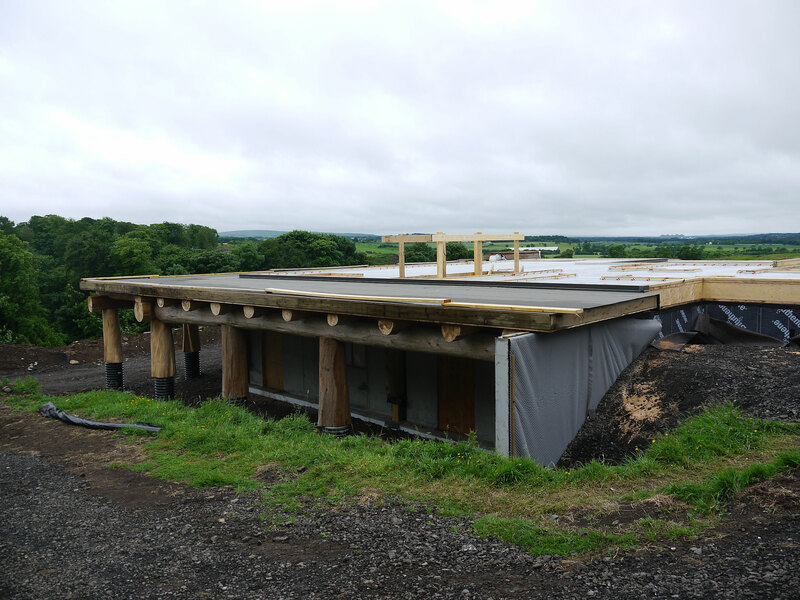 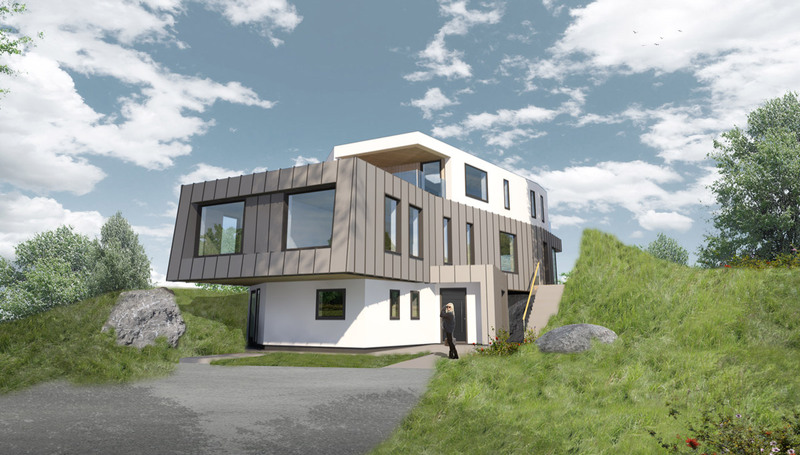 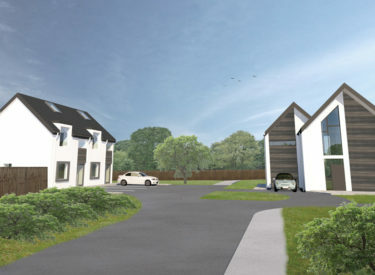 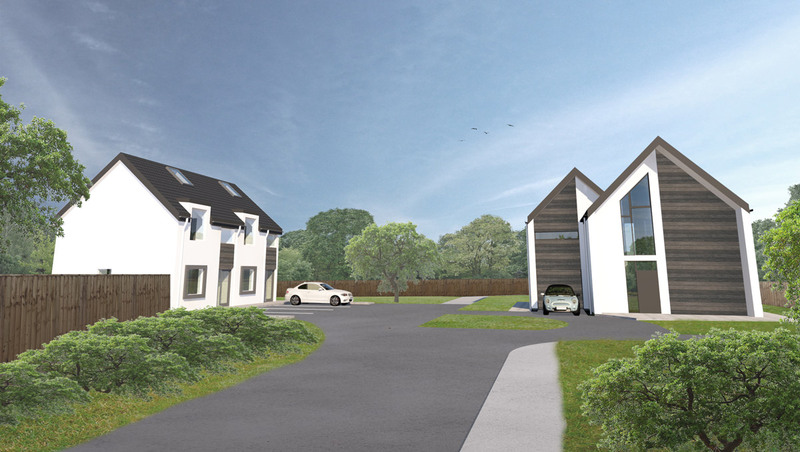 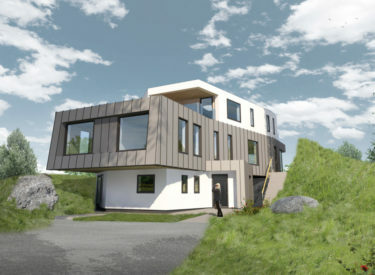 The main external materials on the show are the structural timber logs, and these are contrasted on the basement level by handcrafted stonework, and on the large roof planes by contemporary zinc cladding. 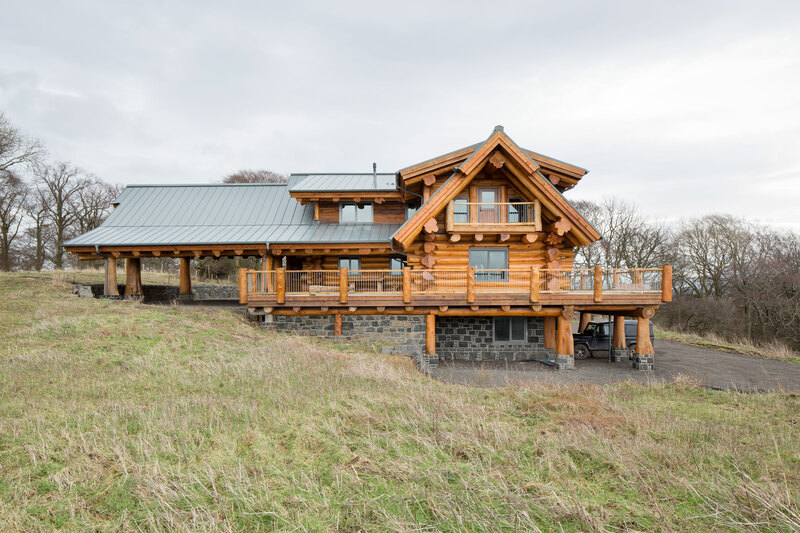 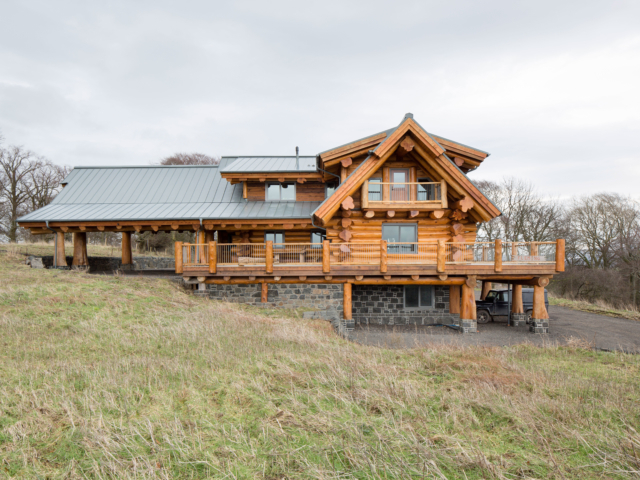 The log home project was completed in the middle of 2015 and is to be featured by Homebuilding & Renovating Magazine for a feature later that year. 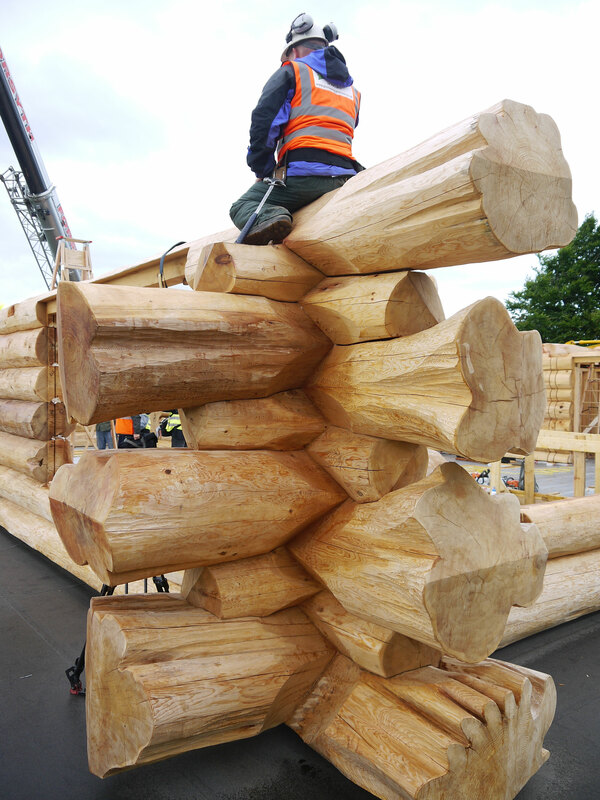 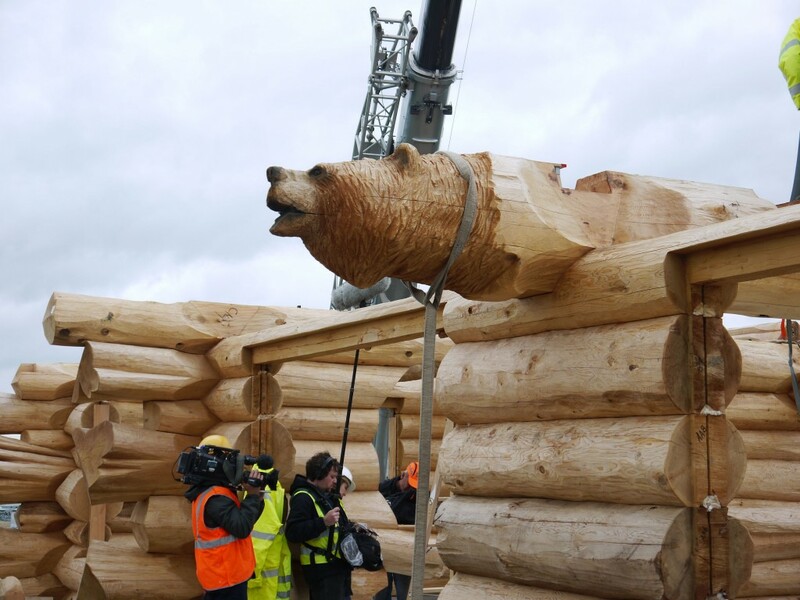 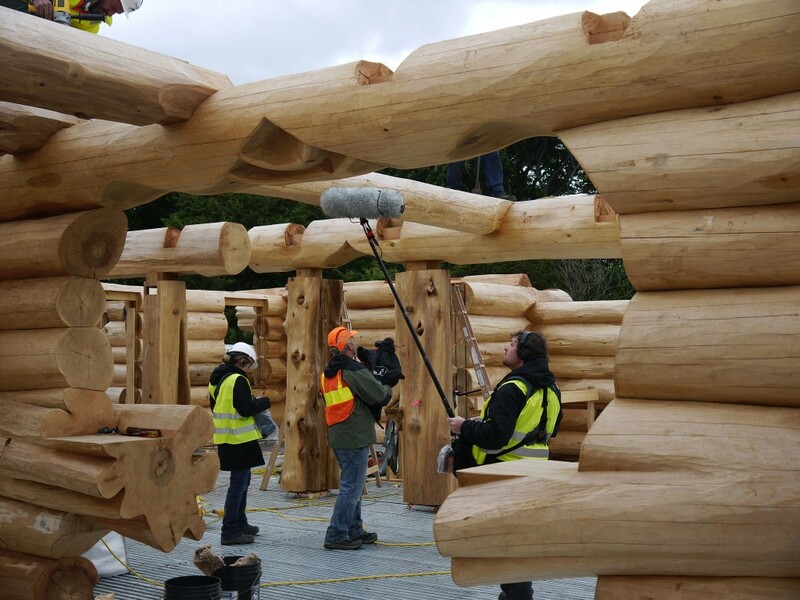 The build process has also been recorded by Timber Kings, an American & Canadian TV Show that follows the Pioneer Team around the world.